I think it is no surprise that I love the personalized books from Wonderbly. 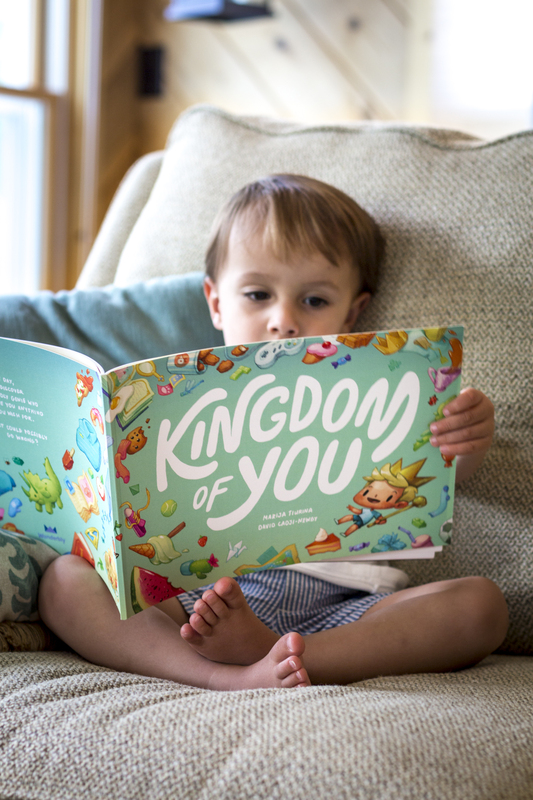 I recently partnered again with them to review another one of their books: Kingdom of You. This book has a variety of personalization options. It goes beyond the child’s name. Whether they love pizza, ice cream, animals, superheroes or dinosaurs, each book can be created according to your child’s favorite things. Some of Rapha’s current obsessions are ice cream and dinosaurs. His face lits up when he sees “King Raphael” riding on the back of an Allosaurus. He goes “ROAARRR”. The illustrations are incredibly detailed. This personalized book is the perfect gift for someone you love. PS: If you are familiar with those amazing personalized books, the brand just got rebranded. They are now called Wonderbly and not Lost My Name. *In collaboration with Wonderbly. All opinions are my own.